What does "digital detox" mean? A digital detox or "unplugging" holiday means spending less time glued to our devices and more time together with friends and our families. 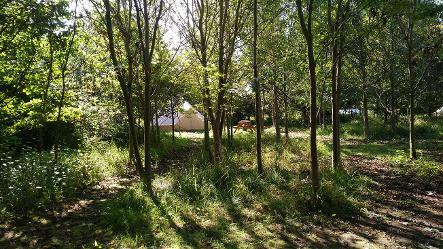 Our glamping accommodation has solar-powered electric lighting, there is no Wi-Fi or mains electricity on our glamping site so you can enjoy your time in the woods without emails, marketing texts and pesky cold callers. We find this provides you the freedom to relax, surrounded by the trees and sounds of nature. There are many benefits to forgoing electronic devices for a break to digitally detox at Woodland Escape. Green spaces, particularly trees, are excellent for maintaining good physical health due to the clean air in the environment around them as plants naturally filter away carbon dioxide and produce oxygen. 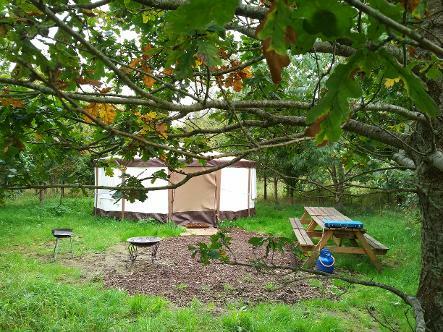 *£25 per person per night based on 40 people sharing exclusive hire of Woodland Escape for two nights, or three nights during a Bank Holiday weekend. Current maximum group size 42.